Caffeine is the most widely used stimulant drug in the world and is one of the best-tested ergogenic aids. Approximately 73% of athletes already use caffeine before training and competition to enhance athletic performance. Usually ingested through coffees, teas, energy drinks, and soft-drinks, caffeine enhances an individual’s energy use, production, or recovery and contributes to clearer thinking and greater concentration. Athletes can also consume caffeine in supplements, like NoDoz max, and sport-specific energy gels. Understanding how much caffeine and when to consume it will allow athletes to maximize their athletic performance with caffeine. 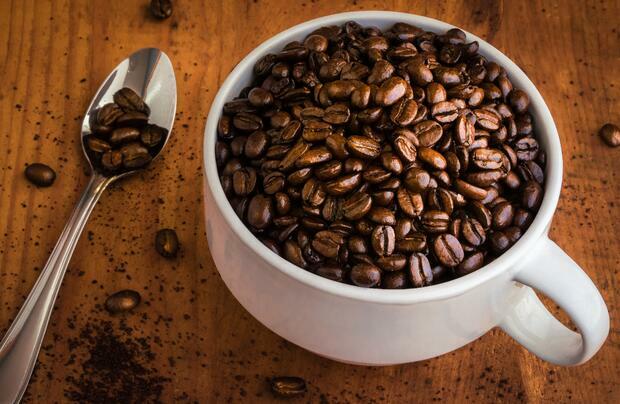 When individuals consume caffeinated products, the caffeine binds and blocks adenosine receptors in the brain which prevents a person from feeling tired and fatigued. However, prior history of caffeine consumption results in habituation in which receptors become desensitized to caffeine exposure. Athletes with a history of drinking coffee, tea, or energy drinks may exhibit a diminished response to caffeine in performance settings compared to athletes who do not consume caffeine. While some people believe that caffeine is a diuretic, research has evaluated the impact of caffeine on hydration indicators and concluded that caffeine does not dehydrate individuals. There are many studies on the use of caffeine for athletes, and the vast majority of research concludes that caffeine enhances athletic performance. Caffeine increases neuron firing, leading to increased arousal and tension in muscles which ultimately helps athletes train harder and longer. In particular, caffeine provides a significant performance boost for endurance events such as triathlons and marathons. In a study analyzing the effect of caffeine on sport-specific endurance performances, researchers found that caffeine increased race times by an average of 3% which is equivalent to 2 minutes an hour. In some cases, race times improved by 17%. Similarly, caffeine increased performance times for cyclists by 27%. The International Society of Sports Nutrition states there is no conclusive data to claim that caffeine helps with strength and power sports, however caffeine helps with performance in sports that involve repeated sprints over time, such as soccer. What source of caffeine, how much, and when? Athletes should consider their caffeine intake when preparing for competition. While one athlete might benefit from caffeine, another might feel nauseous or jittery from the stimulant. Additionally, athletes should understand the different types of caffeinated products and determine how much of that product will give them a performance boost. It is recommended that athletes consume a low to moderate dose of caffeine which is on approximately 2-3 cups of brewed coffee. More specifically, athletes should consume 5 milligrams of caffeine for every kilogram they weigh. On a competition day, athletes are suggested to consume caffeine one hour prior to competition. Caffeine begins to circulate in the blood after 15 minutes on an empty stomach and 45 minutes if an athlete has consumed food. Once in an athlete’s system, caffeine circulates in the body for a long period of time, which is why it proves to be valuable for endurance athletes. It is also recommended that athletes decrease or abstain from caffeine for 3 days prior to competition. This allows their tolerance to caffeine to decrease and helps ensure a maximum effect of caffeine. Athletes can learn to optimize performance once they understand the best time to consume caffeine, the quantity for their body type, and the different caffeinated products offered. In time-based competitions, adding an appropriate amount of caffeine at the right time can differentiate athletes by hundredths of a second and determine if they win or fall short. To learn more about nutrition and athletic performance check out this article about dehydration and this article about good nutritional habits.